Enjoy Narragansett Bay all year long! Think summertime is the only time to enjoy Narragansett Bay? Migratory harbor seals disagree! 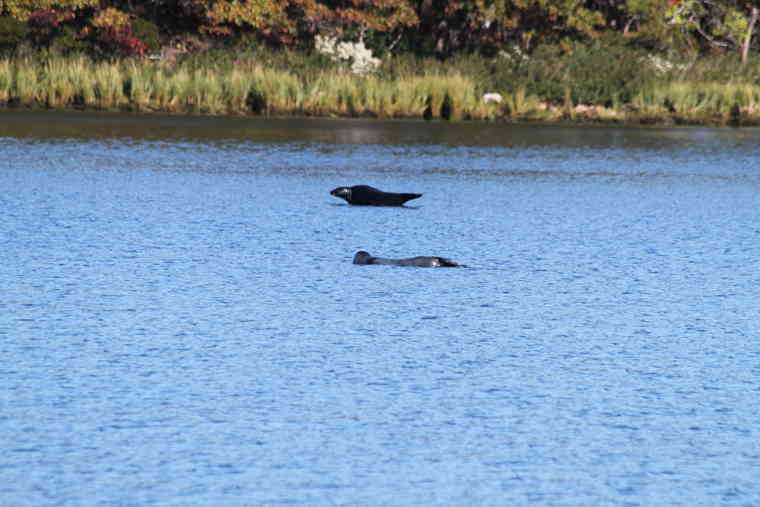 These “dogs of the sea” love the chilly waters of a wintertime Bay—in fact, it’s the only time of year they stop by. 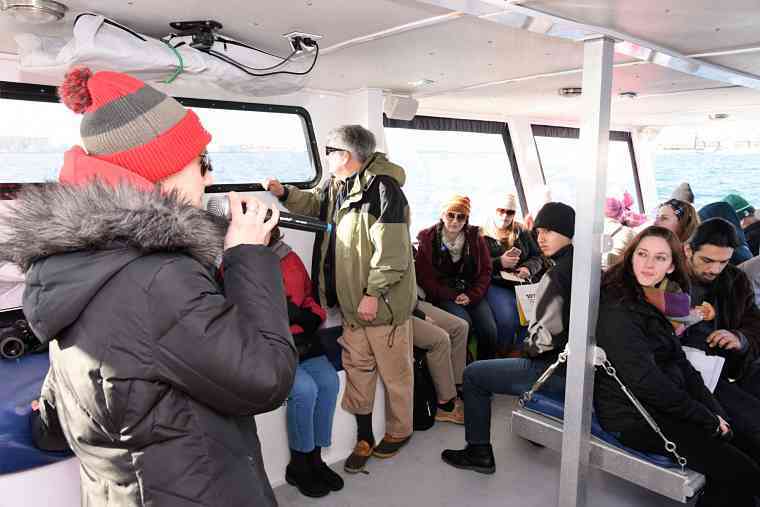 For more than 15 years, Save The Bay has been offering seal watch tours and nature cruises giving you the perfect opportunity to enjoy the cooler months, while observing local wildlife. 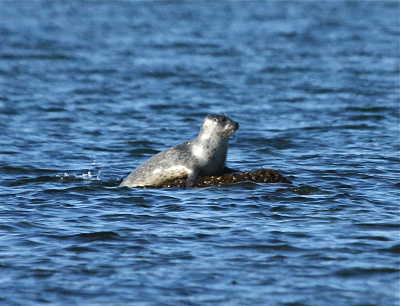 Don’t miss your chance to see the Rhode Island state mammal at play. 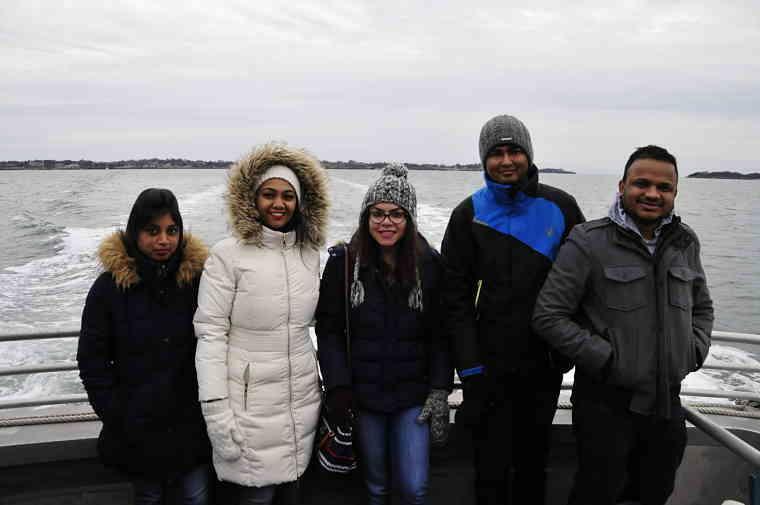 Plan your Seal Tour or Nature Cruise today—after all, the cold weather won’t last forever! For information about purchasing tickets or gift certificates, call 401-203-SEAL(7325). My husband and I had a great time on the Bay Seal Watch. We took the 11 a.m. boat which took us to Citing Rock located in the middle of the bay during low tide. 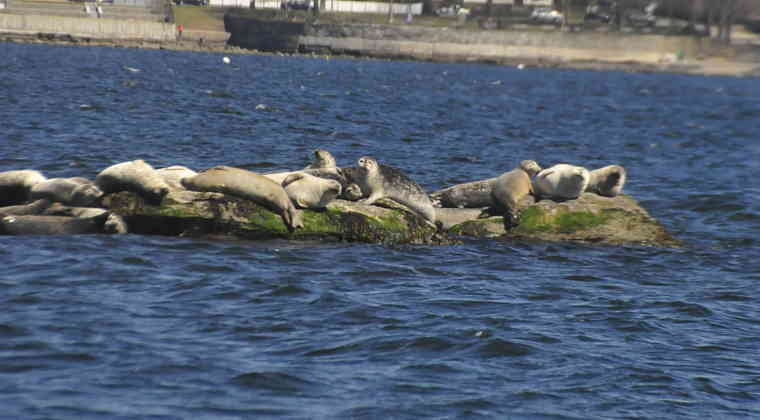 [...] We saw a group of seals hanging out on the rock island. 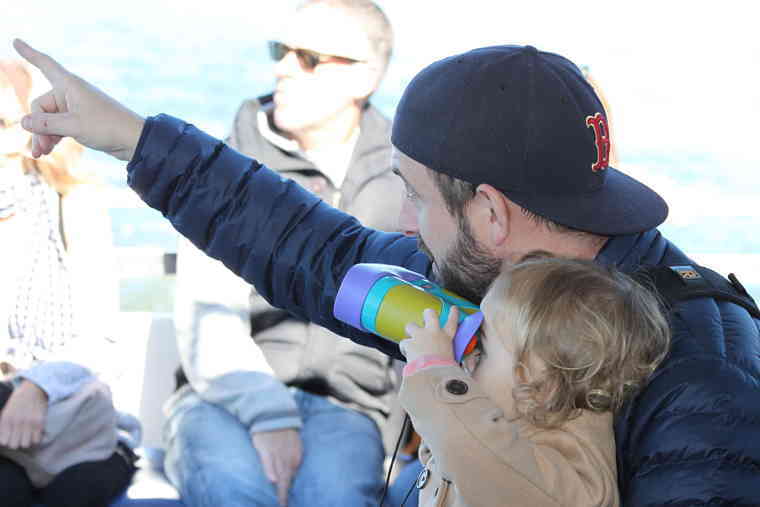 The boat provides binoculars. It was amazing! During the short trip out the crew gave information about the type of seals we would be seeing and answered questions. The crew was enthusiastic about the mission of Save The Bay, very knowledgeable, and friendly. I highly recommend this cruise. 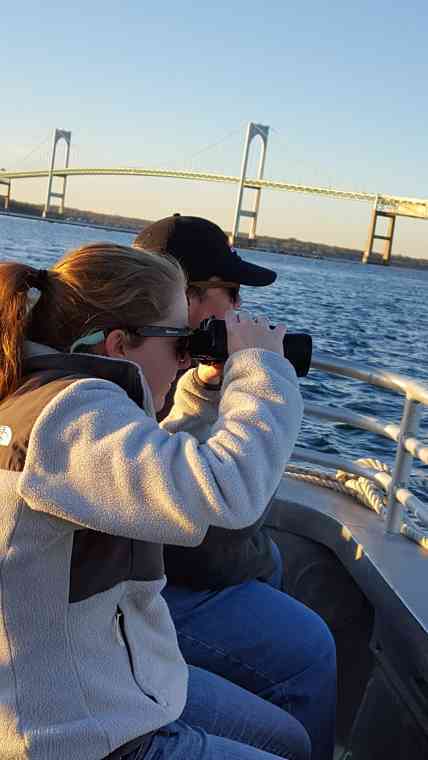 From this November through April 2019, join us aboard one of our education vessels as we motor through historic Newport Harbor and take in 360º views of seals resting on Citing Rock off of Rose Island and the Newport Bridge. 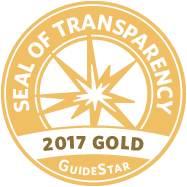 One-hour seal tours are entirely boat-based, while two-hour tours include a tour of Rose Island Lighthouse. The boat captain and tour guide were both friendly and well-educated about the history of the Pawcatuck River and the types of seals that we hoped to see. 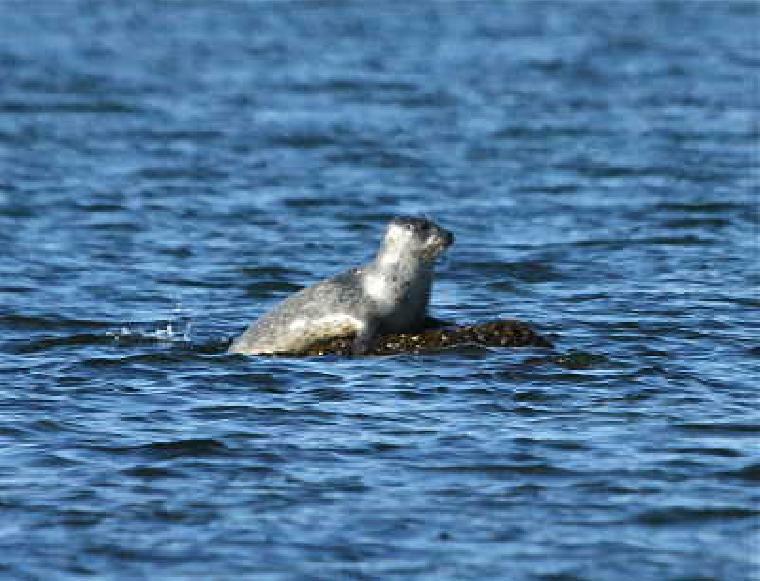 We did spot half a dozen seals swimming near the mouth of the river. It was a great and economical way to spend an hour and one-half on the water. 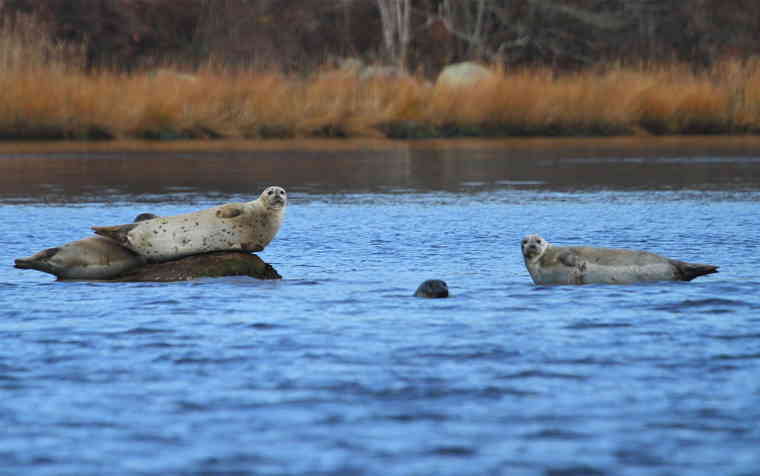 From October through December 2018, take a 90-minute scenic ride down the Pawcatuck River into Little Narragansett Bay for peaceful views of beautiful fall foliage and a glimpse of some our winter harbor seal visitors as they rest on rocks and shorelines.